When the European settlers arrived in vicinity of Saint Paul, the Mdewakanton band of Dakota had already lived here for decades. They called the general area "Imniza-Ska" or "white cliffs” referring to the towering sandstone bluffs. Their village of Kaposia, was located below today’s Dayton’s Bluff. Numbering a few hundred, they lived among the oak groves on the east bank of the Mississippi River, which they called Wakpa Tanka. The name Kaposia means “light weight” thought to have been a reference to the fact that the Dakota travelled with few possessions. The group had a succession of leaders called Little Crow because their ceremonial garb included the skin and wings of a raven or crow. 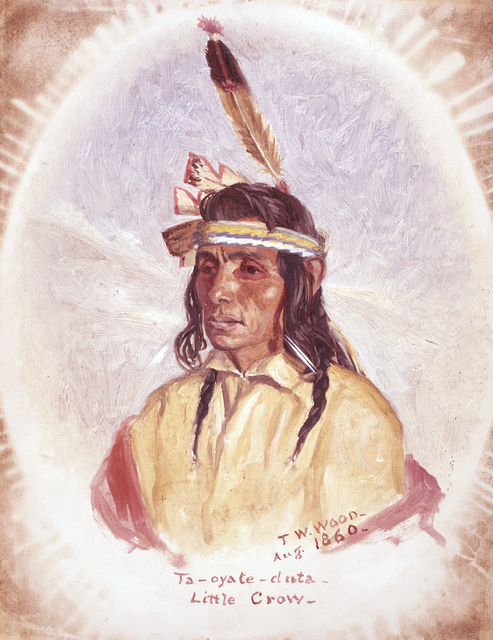 The most well-known was Little Crow whose real name was Taoyateduta, or “His Scarlet People”. Kaposia contained frame buildings covered with bark and some could house more than two dozen people. Platforms were constructed outside for food drying, storage, and occasional sleeping during the warmer months of the year. Inside structures were covered by skins or rush mats used for sitting and sleeping. Dakota life varied with the seasons. In late March there might be maple sugaring and muskrat hunting and by May the women would plant corn, pumpkin squash and beans. The men would fish, trap and sometimes leave for buffalo hunting further west. Late September was cranberry picking and wild rice gathering time, followed by Winter, a time of indoor work. With the arrival of Spring, the cycle began again. Kaposia was sometimes visited by early explorers and visitors. 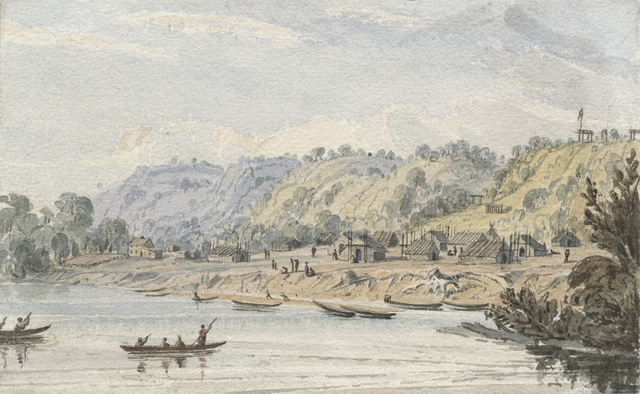 In 1823, one member of Captain Stephen Long’s expedition wrote about the village, which he said consisted of ten or twelve structures, situated at a turn on the river. He said “the houses that we saw… here are formed by upright flattened posts, implanted in the ground, without any intervals…these posts support the roof, which presents a surface of bark. Before and behind each there is a scaffold, used for the purpose of drying maize, pumpkins, etc." After the 1837 treaty with the Dakota, the United States took possession of Minnesota land east of the Mississippi and Kaposia was relocated across the river near today’s South St. Paul. 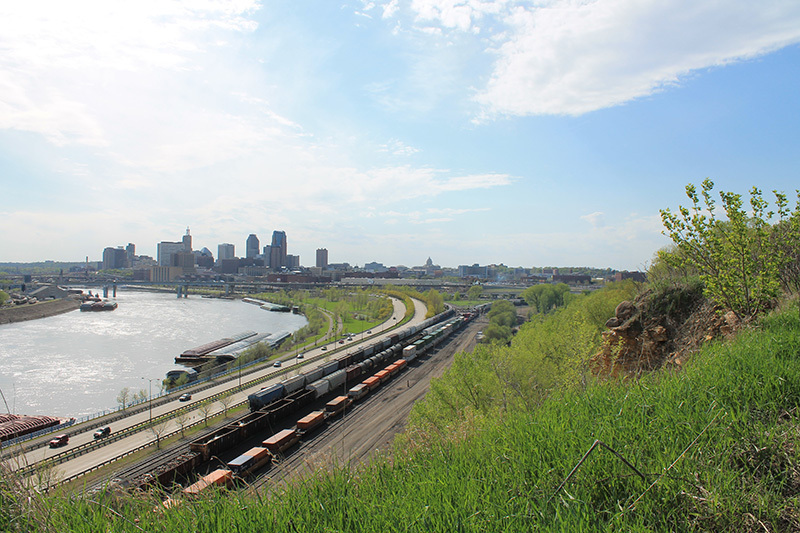 However, the Dakota were still frequent visitors and traders in St. Paul until an 1851 treaty forced them to move westward to a reservation along the Minnesota River. Steve Trimble, “There Once Was a Kaposia Village,” Saint Paul Historical, accessed April 18, 2019, https://saintpaulhistorical.com/items/show/115.